The club was started by two gentlemen. CMSGT Lattie Jones and another fellow by the name of Bob Williams. The original track was built outside of the Speedway in the area that is now the Stockcar Pit Area and a little closer to the main road. Lattie was assigned to Langley AFB and “borrowed” some earth moving equipment from the Air Force to cut in the dirt track. In 1972, the club moved to its current location inside the Speedway after negotiating a contract with then Track Manager, Joe Carver. Joe later left and became Darrell Waltrip’s Business Manager. 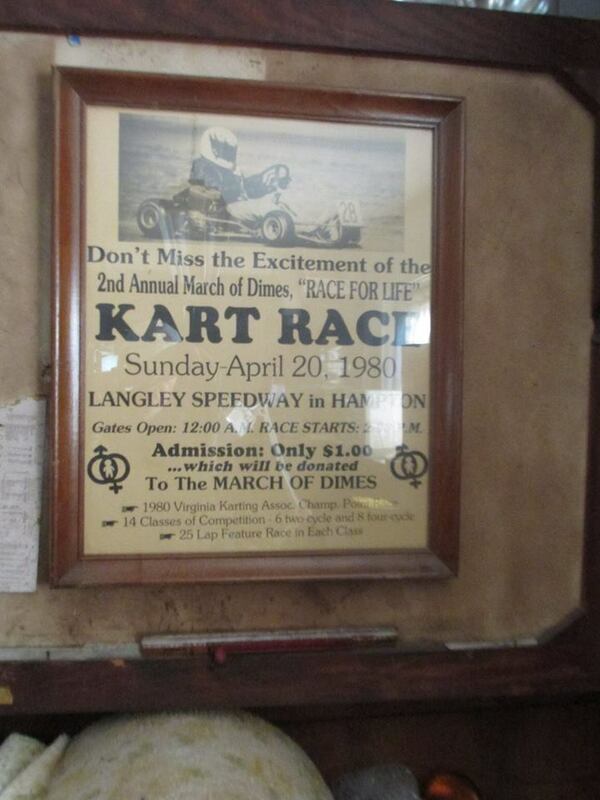 The Hampton Roads Kart Club was the founder of what was then “The Virginia Karting Association” (VKA). Many of the members travelled all around VA once a month to attended VKA Races. The season went from April to October. A weekly race for HRKC had about 35 entries. VKA Races had several hundred. Lattie Jones’ son, Lattie Jr, was a National Jr. 2-Cycle Champion for Enduro Kart Race and several time Sr 2-Cycle Champion for VKA. About 5 member in the club also raced Enduro Kart and traveled as a group to Summit Point Raceway in WV to race. The races at Summit Point had some really well know names: Ted Kennedy Jr (lost his leg in 1973 to cancer), Michael Andretti, Scott Pruett, Paul Newman. Senator Kennedy would be there and Mario Andretti, too. So that just some of the history.